I know a boy. He is a very smart, fun, engaging boy. From the outside you would think this kid has lots of friends, is very social, the class clown, etc. But at home just calling a friend to go do something is a very big feat. The act of calling a friend, or even texting them, to go do something creates stress. He is so afraid of being turned down that he would just rather avoid the task, even if that means not going to a movie or going to do something fun with a friend. I noticed this about three years ago when I knew in my heart he wanted to go sledding with someone, not just his baby sister. However, he literally cried hysterically about having to call his friend. I persisted (debating in my head whether or not this was right—knowing that “Mother of the Year” was not an award I was going to win). He finally called his friend, who said yes, and they went sledding together and had a blast. He had a smile from ear to ear. Did the act of calling the friend create a lot of anxiety? Yes! But as his mother, pushing him out of his comfort zone was needed in order for him to understand that he had friends who actually wanted to be with him. Can you relate? Is it easier to just let our kids avoid things that in their eyes are hard to do, whether it be doing a chore, doing a reading assignment, or even learning how to brush their own teeth? Yes. Is it easier to let our kids avoid doing school work or avoid going to dance class or avoid going to Scouts because it is out of their comfort zone, or even worse– having to deal with an absolute tantrum or fight so we let them win? Absolutely. But when does letting avoidance patterns work become too harmful for them? Are we teaching them anything here? If avoidance behavior is a hallmark for anxiety, how can we as parents assist our children in addressing stressful situations so that they can persevere through life’s challenges? According to Dr. Alice Boyes, Ph.D. (2013), avoidance coping (behavior) is the most important factor in anxiety and causes it to snowball. She believes that people avoid situations that may cause some of the feelings you get when you are stressed; however, if you keep avoiding those situations, this can lead to more debilitating anxiety levels. It is important to understand that all people experience stress. It is not uncommon for the human brain to engage in the process of fight or flight when it is introduced to something stressful. 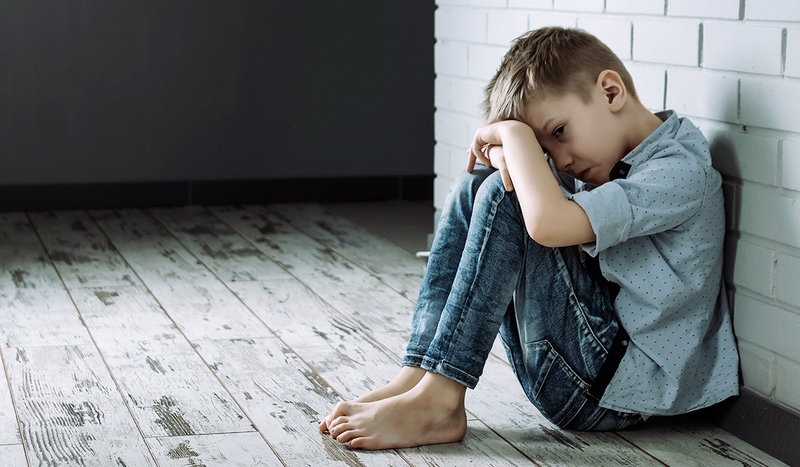 “While avoidance behaviors might give kids some immediate symptom relief, they don’t help them learn to cope with their triggers. In fact, the fears actually have a tendency to snowball when kids engage in avoidance behaviors” (Hurley, 2016). It is also very important to understand that each child and brain is unique and what stresses one kid out may not the next. NACD has experienced that how we react to our children and how we provide them with the right instruction in the correct manner, along with building the neurodevelopmental pieces, allows our children to handle stress much more easily. In an upcoming article, I will discuss the significance working memory plays in handling stress and anxiety. But for now, I would suggest to parents that you try to sit back and look at your children and evaluate their behavior patterns. Do they avoid? Do they freak out when they need to do something that is within their ability to do? How do you react? If it is something that may be difficult in their eyes, we encourage parents to break down the task into smaller parts or have them do a particular task for a set amount of time that allows them to be successful, then gradually increase the duration. When you are wanting to teach something to your child, it is important that you have a calm, confident, and positive demeanor. When teaching your anxious child to ride their bike, for example, letting them know that they can do it and that you are with them and that you know that this is something that they can do is significant. How you talk to them, your demeanor, matters. Setting a timer then stopping and doing it again with frequency (not once a week but several times a day) can help decrease their anxiety and build up their confidence to do the skill. With some children, video modeling of a certain scenario can be effective. For example, if going to the dentist causes your child a lot of anxiety, making a video of going to the dentist so that the child can get a positive image in their minds of that experience can help decrease that fear. This is a common example of exposure therapy that has been used to address anxiety for many years. Avoidance behavior patterns can start at a very early age. If they aren’t addressed early, the behavior patterns can become stronger and generalize into all areas of a child’s life—to a point where they shut down completely. That is why it is important to be mindful of them and help your child face their fears in a successful way. Is your child confident? In our experience, one reason kids can struggle with avoidance behavior, which can lead to anxiety, is that they are too afraid to fail—and parents don’t let them. Failure is a part of growing up. It is a part of learning. When I was younger, I remember ruining a bunch of whites in a load of laundry because I had a red sock in the mix. I didn’t pay attention when sorting and that was the consequence. I failed with that particular load of laundry. Did the sky cave in? No. Did my mom ground me for a month? No. Did I learn a valuable lesson in how do to the laundry? Yes. My mom didn’t take over that job. She just said to pay better attention, and I had to go without those white shirts that I ruined. In order to help our children become confident, developing independence with daily living skills, including self-help and chores, is very important. A very common scenario—a kid attempts to pour their juice, it spills, and the parent cleans it up and doesn’t let them do it again because it makes a mess. Another kid isn’t allowed to load the dishwasher for fear that he may break something. Parents, caregivers, teachers of young ones, do not be a roadblock for your child’s independence. Independence brings so much to their global mental health and function. Develop it, build it, help them realize that failure happens and that it is ok. These things, no matter what age or developmental issues your child may have, are huge for addressing or preventing avoidance behavior and anxiety later on. In conclusion, NACD understands that being a parent takes hard work. Being a parent of a child who is anxious requires patience and positive persistence and understanding! It is important to understand what avoidance behavior is and how to address it with your own unique child. We also understand that there are many contributors to a child’s avoidance behavior and to varying degrees. NACD believes in looking at “whole” kids. 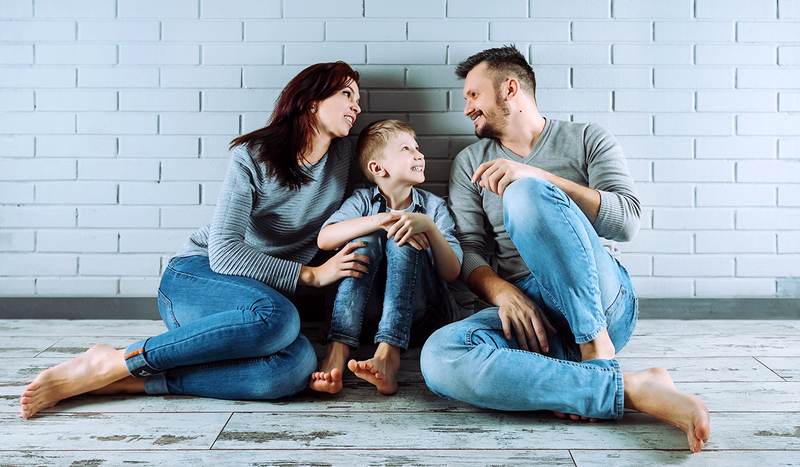 The more individualized we can be with understanding a child’s behavior patterns, the more confident parents can feel in how to help their child. Helping our children become more independent can also increase their self-esteem, helping them to become more confident individuals. In my next article, I will discuss another significant piece to understanding anxiety—working memory. Stay tuned!